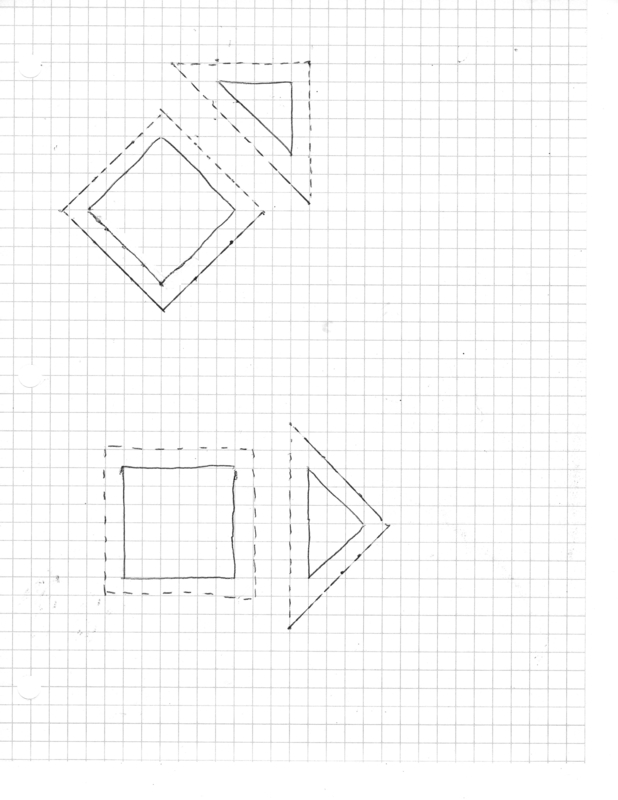 If I have a square and I want to put a triangles on each side how do I come up with the proper measurements for the triangle? Any help with this would be appreciated. What are you trying to make? Do you have a pic? I guess it would depend on if you want equilateral or iscosiles (omg-my mind went a blank with the spelling of this word!)triangle? Jenny Doan has this in one of her u-tube tutes. What ever size of the square that you want to add triangles to, just say 61/2 in. For triangle color cut the same size square. Cut from corner to corner both ways making 4 triangles. Add to square and trim. I resort to graph paper. 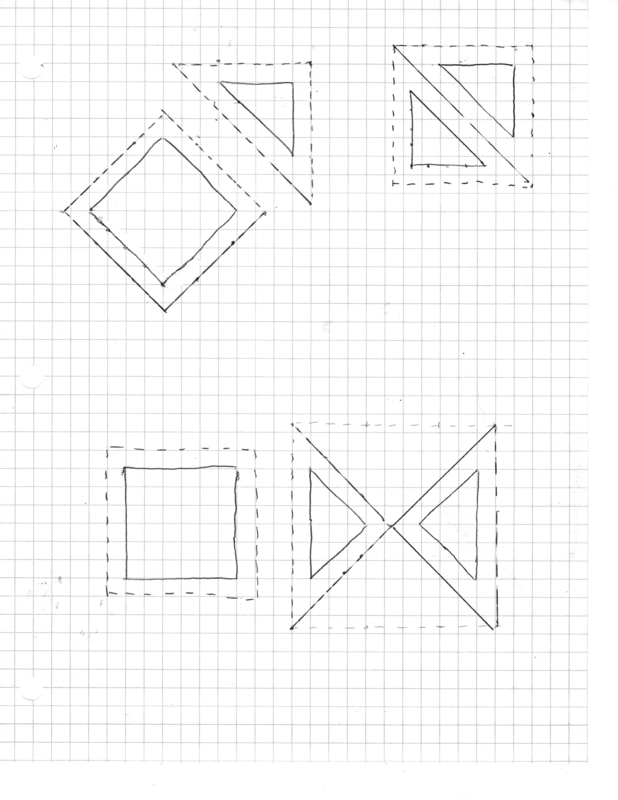 I draw the "finished size" of the square and triangle on graph paper - then add seam allowances to my drawings. Then I measure my drawings - I would probably cut them out and glue them to template plastic. One can cut the triangles one at a time, as half-square triangles, or as quarter-square triangles. "How" one cuts the triangles is determined by the fabric available, and how you want the grain lines on the finished item. Last edited by bearisgray; 05-19-2018 at 04:14 AM. Yes this is what I am looking for. My little sister is learning to quilt and she needed written directions that she can put in front of her so she can keep going back to them if she needs to. She wants to learn to quilt so bad. And thank you for this! I hope you don't mind if I print this. I am trying to help my sister learn to quilt. And I always work from a pattern so I wasn't much help to her. But this method may be the easiest for her. Thank you! Thank you Ladies this was a big help. I am trying to teach my sister how to quilt and I always use a pattern so when she ask me this question I didn't know. But now I will be able to help her and we both will be learning! Thank you all for your help! I also bookmarked this! Thank you! Anyone is welcome to copy anything I post on this board. and sometimes I can "explain" in a drawing better than I can explain in words. If you use two squares the same size, and cut one twice on the diagonal, there will be no 1/4" seam allowance on the block so I cut the second square an inch larger, and re-cut twice, though it means trimming down later.